As promises, my horse category on the blog is starting to fill up. I like horse, they are so peaceful and beautiful to watch, and they make great photo subjects. The photo in this post was shot on the same day when I took this horse portrait. 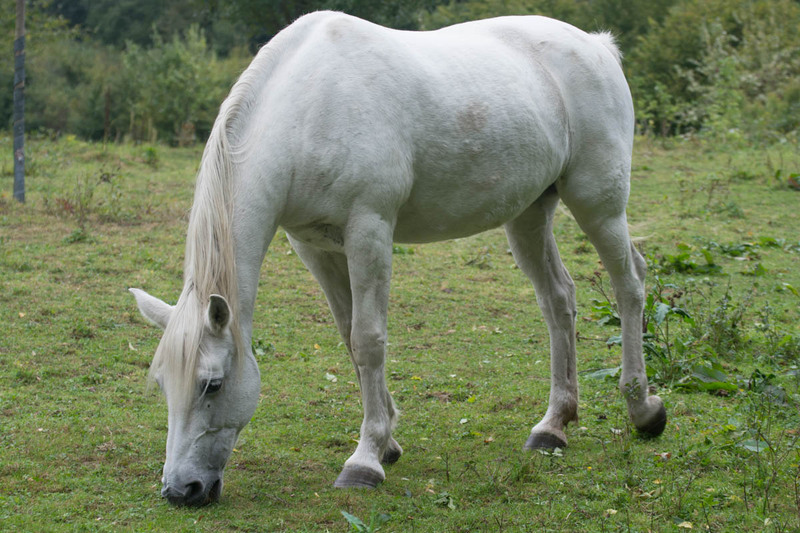 Every horse is beautiful, but white horses really look majestic. I remember that princesses in medieval movies often were on a white horse, I know it’s a cliché, but that’s how it often is in movies. That’s maybe why I associate the horse in the photo with a horse of a princess. I hope you like the photo!